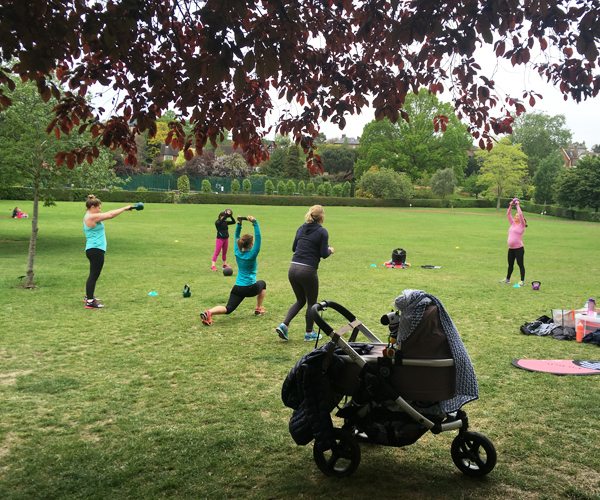 Maintaining your fitness during pregnancy can be hugely helpful in improving your experience during labour and during your post-natal recovery. Those special 9 months are the time to maintain a healthy lifestyle rather than actively look to increase your fitness. With a few simple exercise modifications for pregnancy, you can continue to feel fit and strong while knowing you’re taking care of both yourself and your baby. For instance, if you enjoy weightlifting, you’ll look to use similar or slightly reduced weights than you did before pregnancy. If you enjoy running, you may well continue to enjoy running, but you may start to reduce the intensity of your runs and eventually scale back to lower impact exercise as your bump grows. Find out if your favourite studios offer pregnancy classes, or which instructors are pre-natal qualified so they can help you make safe modifications to your ongoing training regime. Many yoga and Pilates providers provide specialist training to strengthen the areas that are most important as your centre of gravity changes, including your core, glutes and shoulders. If you’re training solo, here are a few tips and modifications to ensure you’re exercising safely and effectively. 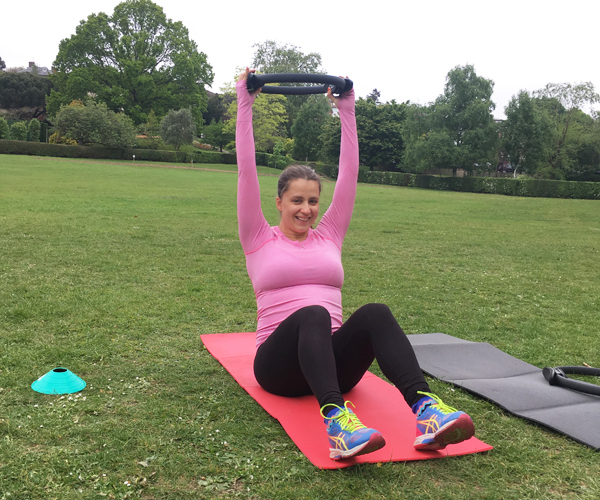 Regular bootcamper Polina completed pregnancy-safe FBC workouts up to her 34th week. We’re all waiting in anticipation for the arrival of a healthy baby girl who will surely be as fit as her momma! During your first trimester, you can maintain much of your pre-pregnancy programme as long as you feel well. Dilating blood vessels during this period may cause a bit of lightheadedness, so be conscious of not moving too quickly from lying or seated to standing. Perform circuits of exercises on your feet, then move to the floor to perform exercises like planks and bridges. Your heart is having to work extra hard to pump enough blood for both yourself and your growing companion, so you may find it harder to regulate your temperature (read – you’re likely to get hot and sweaty real fast!). Listen to your body and build in extra rest period to avoid overheating. As your bump grows in second trimester, it’s best to avoid exercises on your back as the extra weight can affect blood flow from the legs to the heart. If you start seeing stars, it’s time to incorporate some minor exercise modifications for pregnancy. Silver lining – some of those modifications will actually make an exercise more challenging (especially with that extra weight in your tummy), and this is a great time to introduce some new standing core work to add variety to your training. Adapt bridges by performing them on the hands rather than the shoulders. Crunching and twisting movements like sit-ups and bicycles will begin to feel uncomfortable, so look to replace them with planks and standing abdominal work like resistance band palof presses and plate circles. During your third trimester, it’s very important that you stick with low-impact exercise. Make sure to practice your pelvic floor Kegel exercises daily, and swap jumping for stationary movements. You can continue to elevate the heart rate by moving quickly between exercises or incorporating travelling exercises like walking lunges, banded crab walks and monster walks and bear crawls. Work at up to 80% of your usual intensity (you should be able to maintain a conversation; or sing a little song to your workout buddy within) and stay hydrated. An action shot from my Ladies Who Lunge (and swing, press, plank, slam, etc!). New babies and little ones are more than welcome at our Monday sessions.